If you need more information or your questions are not answered here, please phone or email us with your query. Is water provided for the hikers? Bottled water is provided for each hiker at the trailhead. They may take as many bottles as they think are needed for the hike. Please remember that empty bottles and wrappers must be carried back to the trailhead. Hiking boots or trail shoes are best. Athletic shoes work too but open toe or sandals are not advised. Dress comfortably. A hat or cap is always a good idea. Sunglasses are recommended and always use at least 30spf sunscreen. Trails range from short to long, easy and moderate or difficult and strenuous. Take into account your personal ability and the capabilities of you group and we will assist you determine which trail is your best choice. Are a minimum number of hikers required? 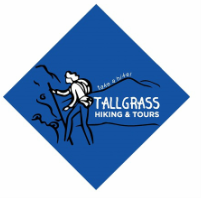 We require at least 2 to 4 people are recommended depending on the trail you choose. Special arrangement can be made for single individuals and large groups. Are the hikes on public trails? All trails are on public or federal land. Hiking on private or unfamiliar trails can be at best, confusing and at worst, dangerous. Hiking with an experienced guide offers both a richer and safer experience. Of course children are welcome. Depending on their hiking ability, youngsters must be able to hike at least one mile over an easily traversed trail. Older children must have greater endurance for the longer and more strenuous trails. We will assist you to choose the best of trails suited to the age of your group. Proper clothing and shoes are required. This is a hike. Bring as much as you can comfortably carry. Walking stick are good, your camera and binoculars should be high on the list. Cell phone reception will be spotty, but use your best judgment here. Water and snacks are provided but if you bring children, you may need special items. Extra sunscreen is always a good idea.